Memorial 3:00 pm Service. Remembering what Sensei said or did to motivate and inspire confidence and poise. Dance 8:00 pm under 2 crystal chandeliers. Sensei will be there (in spirit and in our hearts) proudly watching. Ken Sensei was So. Cal. Ballroom Dance Champion. Danced on TV + contests danced with Shiela Sloan (Ballroom Dance Champion Great Briton + USA) His teacher. Was champion for Girls and Ladies. Encouraged them to be as good or better than men. In some professions or business. They have! Ken Ota was the first in Santa Barbara County to teach kids and teens! •	Annual Women’s Judo Camp in USA. Participants from Hawaii, Alaska, Canada, Japan, USA, UCSB. Hosted Aikido/Ki with Tohei Sensei from Japan 2yrs. •	Introduced Ballroom Dancing and competitions to colleges & universities. Started at UCSB. Sensei’s dance parties at the dojo no alcohol, drugs or smoking. They had a great time meeting people & practicing dancing with everyone. •	Learned to be Ladies and Gentlemen (dance too) They dressed up & looked good. They can still hear Sensei’s voice saying don’t be afraid to make mistakes, never give up, and “ yes I can!” Kenji gave many scholarships & discounts to help kids & big kids. 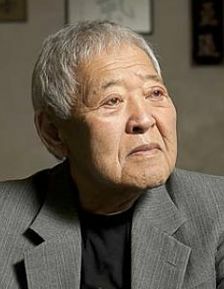 A Japanese farmer’s son, born in Lompoc overcame a disability (rheumatic heart), survived the Internment Camp in the desert (Arizona) tolerated prejudice to excel and share his knowledge. Ken worked and studied hard, also practiced over and over to be the best in every art he taught. He shared his knowledge and encouraged the young or older students to do the best in whatever they do. No flowers or pot luck. Please donate for the dojo roof fund. Thank you from the Dojo members.